Recently, we were asked to review several WonderForge games. My children had a blast reviewing. 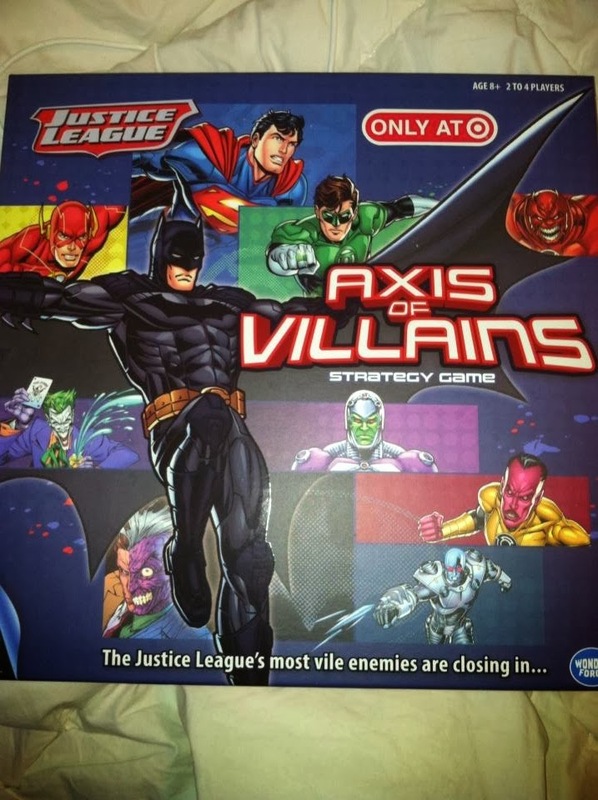 Justice League Axis of Villains Strategy Game was one that we received. Ignore the "Only at Target" sticker, as we easily found the game on Amazon as well. First, this is not a game for young children. If you look at the board, you will see that it is quite complex, and a younger child would get easily distracted and discouraged. The game says it is for ages 8 and up. My 10 year old could understand the rules easily. 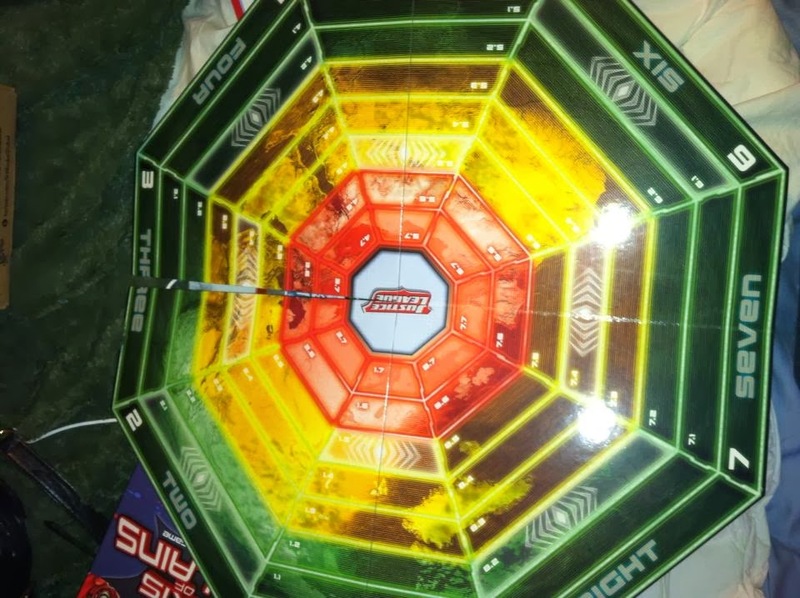 My 6 year old could play with assistance, and was able to play after a few turns on his own. If you are a game playing family, I think a 5 year old would be the minimum age for playing. 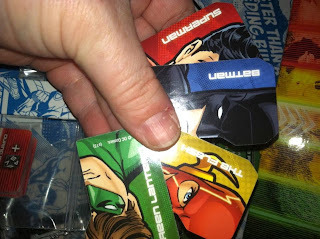 You get to play as one of the Justice League characters choosing from Superman, Batman, The Green Lantern, or The Flash. My 10 year old daughter was disappointed that none of the female Justice League characters were included, but both kids were much more motivated to play when their favorite characters were involved. 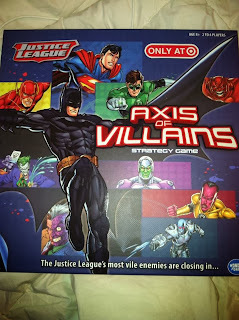 This is a super game if your family is a fan of superheroes (as mine is!). We had tons of fun playing! MamaBreak received Wonder Forge games to review here on the site. We did not receive any other type of compensation. As always, our experiences and opinions are our own.